Trump Reduces Size Of Fines On Nursing Homes For Health Violations : Shots - Health News Inspectors are citing facilities more often than during the Obama administration. But in response to industry prodding, the average fine is nearly a third lower, and the total assessed is down. Federal records show that the average fine for a health or safety infraction by a nursing home dropped to $28,405 under the Trump administration, down from $41,260 in 2016, President Obama's final year in office. The Trump administration's decision to alter the way it punishes nursing homes has resulted in lower fines against many facilities found to have endangered or injured residents. Federal records show that the average fine dropped to $28,405 under the current administration, down from $41,260 in 2016, President Obama's final year in office. The decrease in fines is one of the starkest examples of how, in response to industry prodding, the Trump administration is rolling back Obama's aggressive regulation of health care services. That reduces the impact of the penalty, critics say, giving nursing homes less incentive to fix faulty and dangerous practices before someone gets hurt. 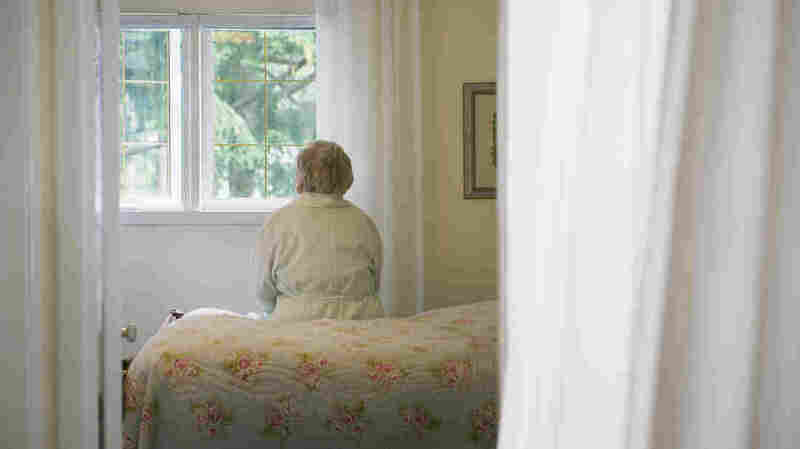 "It's not changing behavior [at nursing homes] in the way that we want," says Dr. Ashish Jha, a professor at the Harvard T.H. Chan School of Public Health. "For a small nursing home, it could be real money, but for bigger ones, it's more likely a rounding error." Since President Trump took office, the administration has heeded complaints from the nursing home industry about zealous oversight. It granted facilities an 18-month moratorium from being penalized for violating eight new health and safety rules. It also revoked an Obama-era rule barring the facilities from pre-emptively requiring residents to submit to arbitration to settle disputes rather than go to court. The reduction in total fines occurred even as the Centers for Medicare & Medicaid Services issued financial penalties 28 percent more frequently than it did under Obama. That increase in the frequency of citations with financial consequences arose because of a policy begun near the end of Obama's term that required regulators to punish a facility every time a resident was harmed, instead of leaving it to their discretion. CMS says it has revised multiple rules governing fines under both administrations to make its punishments fairer, more consistent and better tailored to prod nursing homes to improve care. "We are continuing to analyze the impact of these combined events to determine if other actions are necessary," CMS said in a written statement. The move toward smaller financial penalties is broadly consistent with the Trump administration's other industry-friendly policies in the health care sector. For instance, the administration has expanded the role of short-term health insurance policies that don't cover all types of services, has given states more leeway to change their Medicaid programs and has urged Congress to allow physicians to open their own hospitals. Beth Martino, a spokeswoman for the American Health Care Association, a trade group for nursing homes, says the federal government has "returned to a method of applying fines in a way that incentivizes solving problems" rather than penalizing "facilities that are trying to do the right thing." Penalty guidelines were toughened in 2014 when the Obama administration instructed officials to favor daily fines. By 2016, that approach was applied in two-thirds of cases. Those fines averaged $61,000. When Trump took over, the nursing home industry complained that fines had spun "out of control" and had become disproportionate to the deficiencies. "We have seen a dramatic increase in [fines] being retroactively issued and used as a punishment," Mark Parkinson, president and CEO of the American Health Care Association, wrote in March 2017. CMS agreed that daily fines sometimes resulted in punishments that were determined by the random timing of an inspection rather than the severity of the infraction. If inspectors visited a home in April, for instance, and discovered that an improper practice had started in February, the accumulated daily fines would be twice as much as if the inspectors had come in March. But switching to a preference for per-instance fines means much smaller penalties, since fines are capped at $21,393 whether they are levied per instance or per day. Nursing homes that pay without contesting the fine receive a 35 percent discount, meaning they currently pay at most $13,905. Those maximums apply even to facilities found to have committed the most serious level of violations, which are known as immediate jeopardy because the nursing home's practices place residents at imminent risk of harm. For instance, a Mississippi nursing home was fined $13,627 after it ran out of medications because it had been relying on a pharmacy 373 miles away, in Atlanta. CMS also reduced $54,600 in daily fines to a single fine of $20,965 for a New Mexico home where workers hadn't been properly disinfecting equipment to prevent infectious diseases from spreading. "These are multimillion-dollar businesses — $9,000 is nothing," says Toby Edelman, a senior policy attorney at the Center for Medicare Advocacy, a nonprofit in Washington. Big daily fines, averaging $68,080, are still issued when a home hasn't corrected a violation after being cited. But even in those cases, CMS officials are allowed to make exceptions and issue a single fine if the home has no history of substantial violations. The agency cautioned that comparing average fines is misleading because the overall number of inspections resulting in fines increased under Trump, from 3.5 percent in 2016 to 4.7 percent. The circumstances now warranting fines that weren't issued before tend to draw penalties on the lower side. However, Kaiser Health News found that financial penalties for immediate jeopardies were issued in fewer cases under Trump. And when they were issued, the fines averaged 18 percent less than they did in 2016. The frequency of immediate-jeopardy fines may decrease even more. CMS told inspectors in June that they were no longer required to fine facilities unless immediate-jeopardy violations resulted in "serious injury, harm, impairment or death." Regulators still must take some action, but that could be ordering the nursing home to arrange training from an outside group or mandating specific changes to the way the home operates. Barbara Gay, vice president of public policy communications at LeadingAge — an association of nonprofit organizations that provide elder services, including nursing homes — says that nursing homes "don't feel they've been given a reprieve" under Trump. But consumer advocates say penalties have reverted to levels too low to be effective. "Fines need to be large enough to change facility behavior," says Robyn Grant, director of public policy and advocacy at the National Consumer Voice for Quality Long-Term Care, a nonprofit based in Washington, D.C. "When that's not the case and the fine is inconsequential, care generally doesn't improve." Kaiser Health News is an editorially independent news service supported by the nonpartisan Kaiser Family Foundation. KHN is not affiliated with Kaiser Permanente. You can follow Jordan Rau on Twitter: @jordanrau.